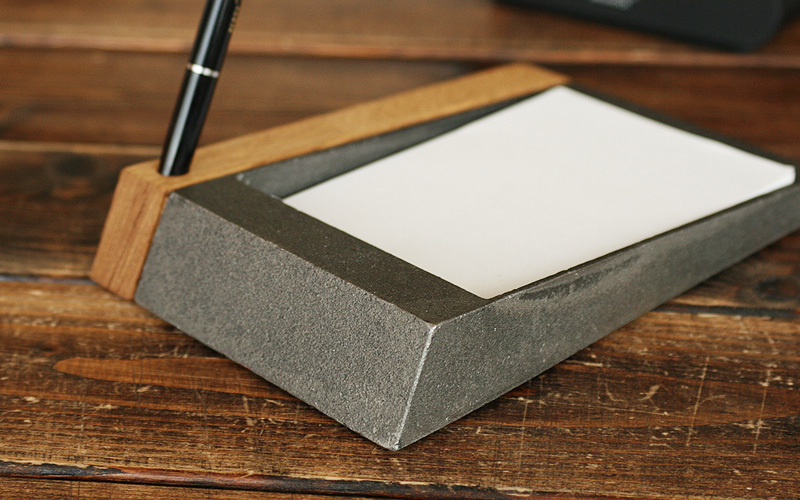 On this massive tray, your memo pad will not wobble even when you rush to take notes on incoming calls. 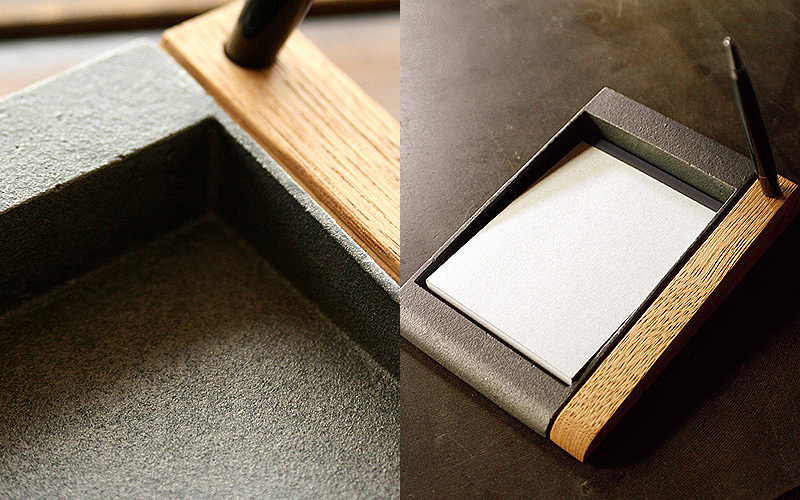 It is a collaborative work of Japanese traditional craftsmen from "Takaoka Copperware" and from "Echizen Lacquerware." 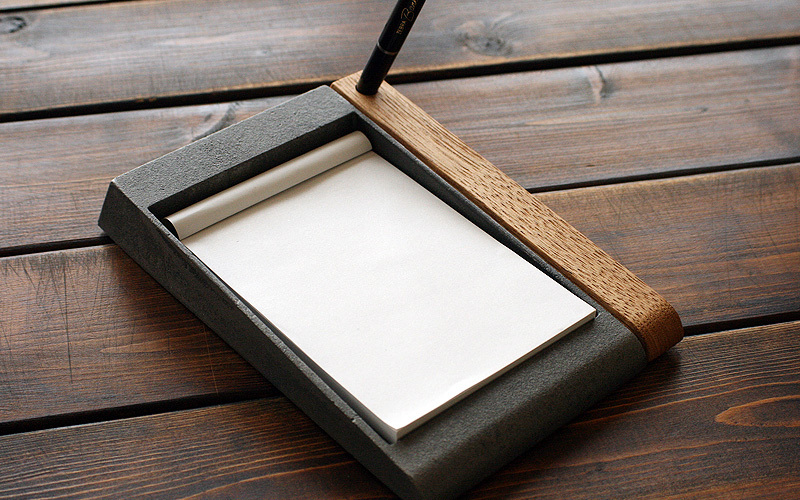 It comes with a pen stand of chestnut wood attached and you can keep your pen and memo pad together.